The Used released the official music video for "Rise Up Lights" off The Canyon Nov. 3. The visuals pair perfectly with the track that Alternative Press called an "avant-garde dystopian anthem." The song picks up right away with singer Bert McCracken's iconic vocals and guitarist Justin Shekoski's super charged guitar hitting you right in the face. Fans can check out the video at smarturl.it/RiseUpLightsOfficial. Yesterday, Rolling Stone released an intimate acoustic video session, here. The band performed their hit track, "On My Own" from their 2002 Self Titled release, and from The Canyon, "Over and Over Again" and "For You." Rolling Stone shared that "McCracken delivered a remarkable vocal performance in which he jumped from a soft croon to a ragged wail." The video has garnered over 365K views in under 24 hours. Last week, the band released their 7th studio album "The Canyon" via Hopeless Records. Written out of pain and loss, "The Canyon" is tragic and haunting while also having a sense of light and energy that is unlike anything this band has put forward. "This isn't just an album born from a death, it's an album whose makers have found some new lease on life," shared Nylon in an exclusive interview and acoustic session with the band. Produced by Ross Robinson (The Cure, At The Drive In), this 17-track album was recorded entirely on tape, with no more than 3 takes being used on each song. On the new record, Billboard shared "It's their largest body of work to date, and in many ways, their most important." Fans can purchase the album now in stores, on Apple Music, iTunes or streaming on Spotify. 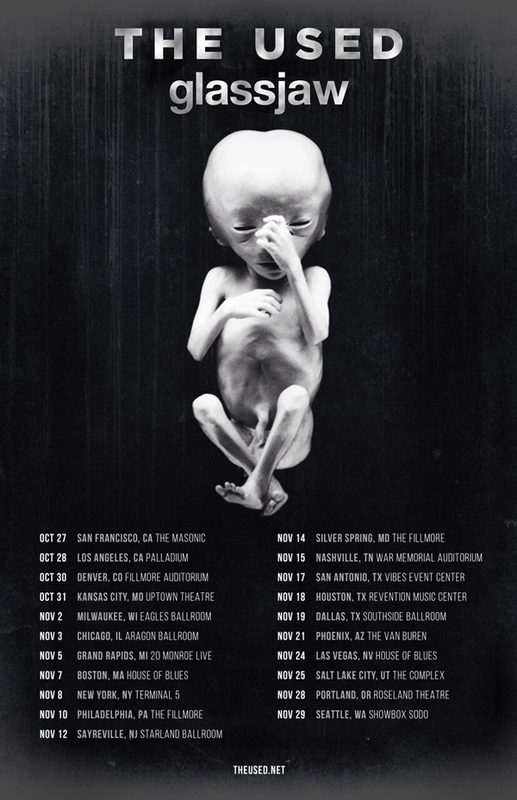 The Used are currently on the road with support from Glassjaw. Tickets are moving fast and according to AXS, "this tour is not one to miss." 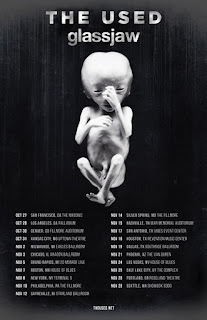 For more info and to purchase tickets and VIP packages, visit theused.net.